Main square as seen from the top of the old town hall. 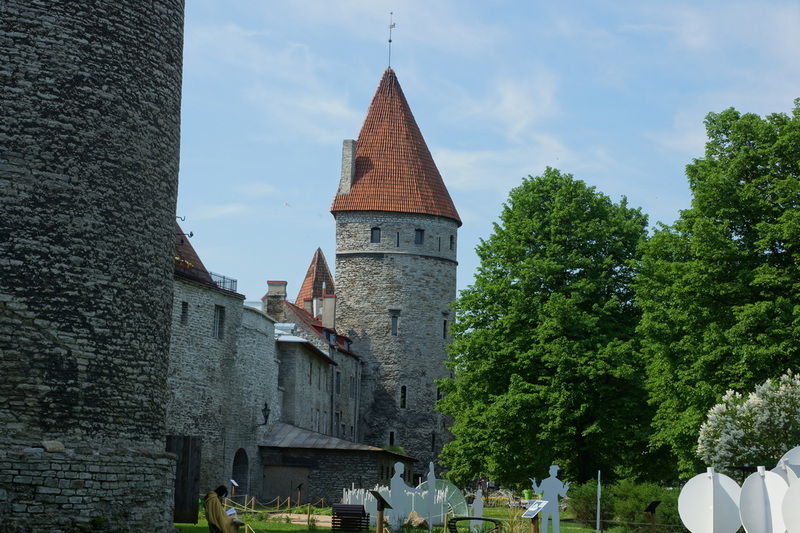 There are a couple of places for motorhomes to park when visiting Tallinn. 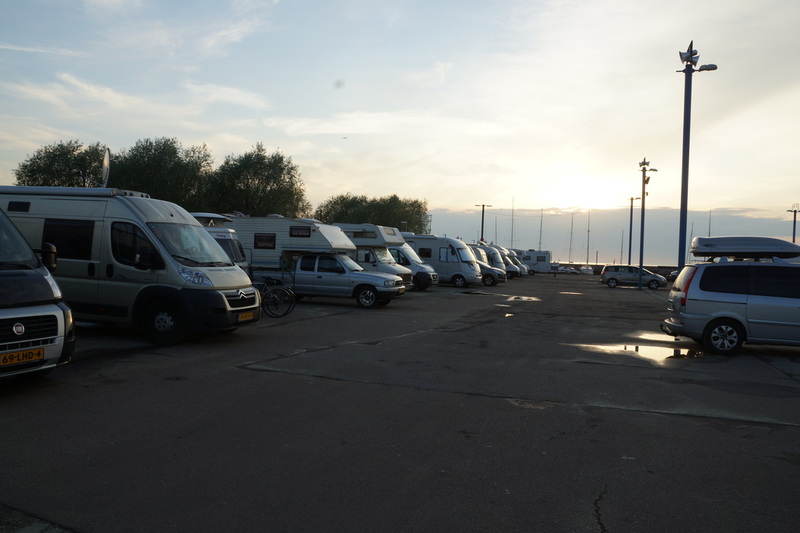 There's Tallinn City Camping but we were recommended to stay at the Harbour Camping at Pirita. N59°28’2” E24°49’27” this is very like a French aire and there are public toilets nearby and you can call in at a nearby hotel for a shower for a small charge. When we stayed we paid 14 euro a night.There is also some limited wifi in the area. You get a great view out to sea and across to Tallinn. This is a yacht marina that was used during the Moscow Olympics and so if you like boats this is a nice spot to overnight. The guy at reception gave us a map for the city and details of the bus to take into town. In fact there is a very decent cycle path that edges along the beach and takes you into Tallinn. We got the bus which was easy and inexpensive, you pay the driver. One thing that becomes immediately apparent is that Tallinn is very popular with the cruise ships, we could see these from the campsite and there were usually four or five. 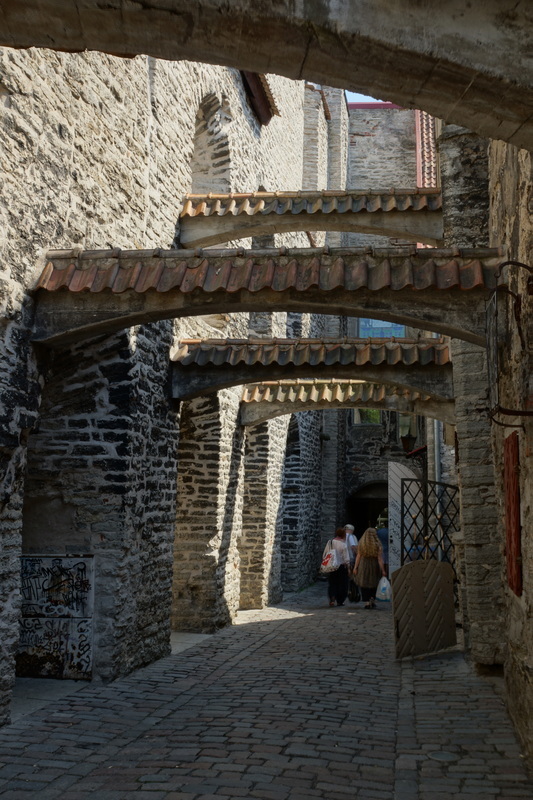 Although the streets in the old town are pedestrianised the presence of so many tourists did mean that it was very crowded but we visited in June so no real surprise that there were crowds. My fear in these circumstances (similar experience in Dubrovnik) was getting caught up with one of these tours from a cruise ship and ending in a retirement community somewhere in Florida and any protests on my part would be deemed a sign of senility. 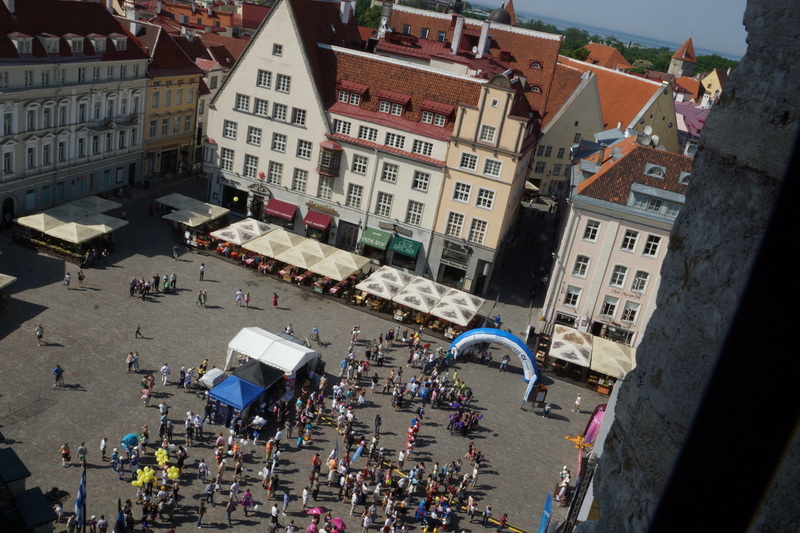 We solved the crowd problem by catching the 8am bus into Tallinn and beating most of the crush although even at that time there were still a few ongoing guided tours. 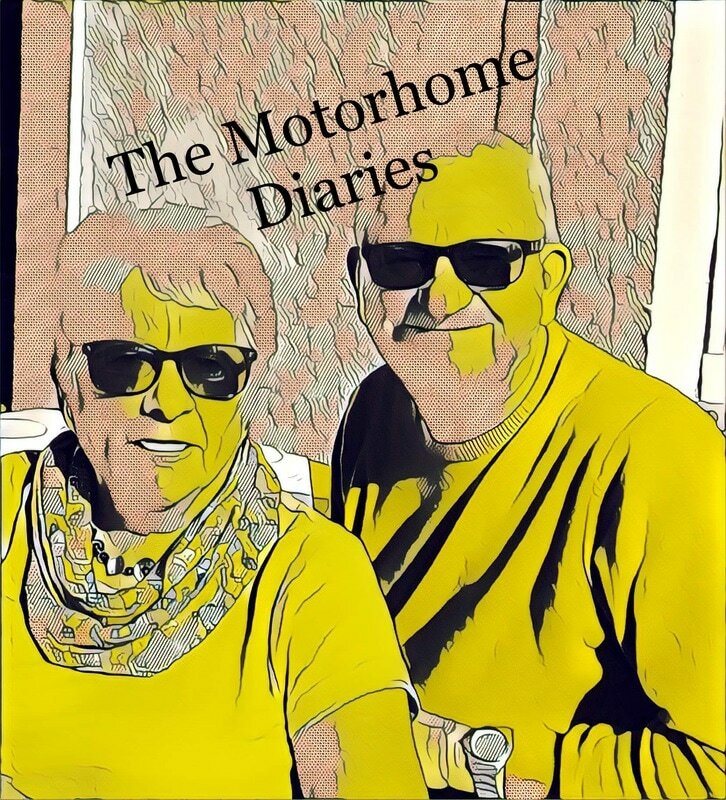 As your guide book will tell you there are lots of lovely buildings to see and there are simply lots and lots of venues for eating and drinking. Generally you are paying western european prices but then you are in a city that it is a tourist hotspot. 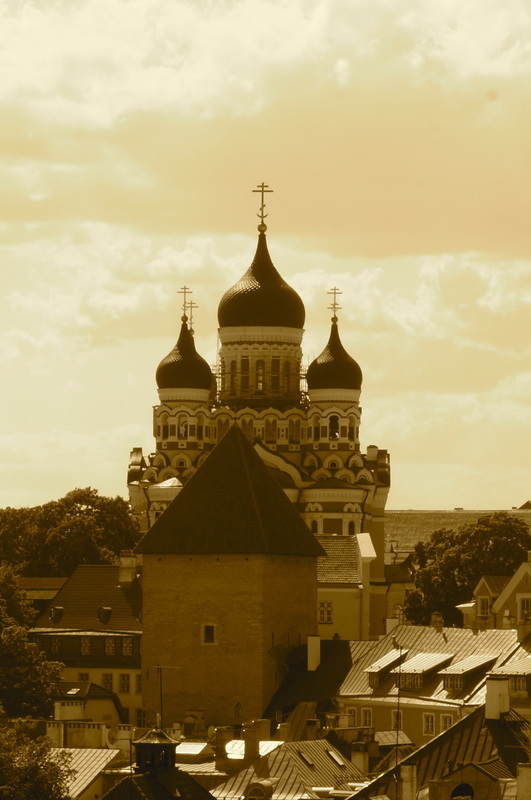 We used DK Eyewitness Travel - Estonia, Latvia and Lithuania on this trip. We particularly enjoyed the Alexander Nevsky cathedral with its beautiful Orthodox interior. 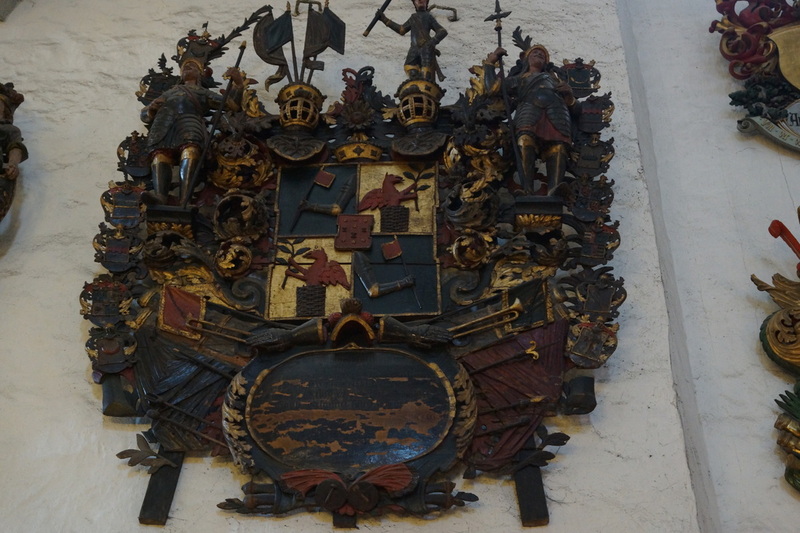 The Cathedral of St Mary the Virgin was also very interesting not only because it is probably the oldest church in Estonia but has a collection of the most elaborate aristocratic coats of arms. We also visited the House of Blackheads which was interesting in that there were so many architectural styles. 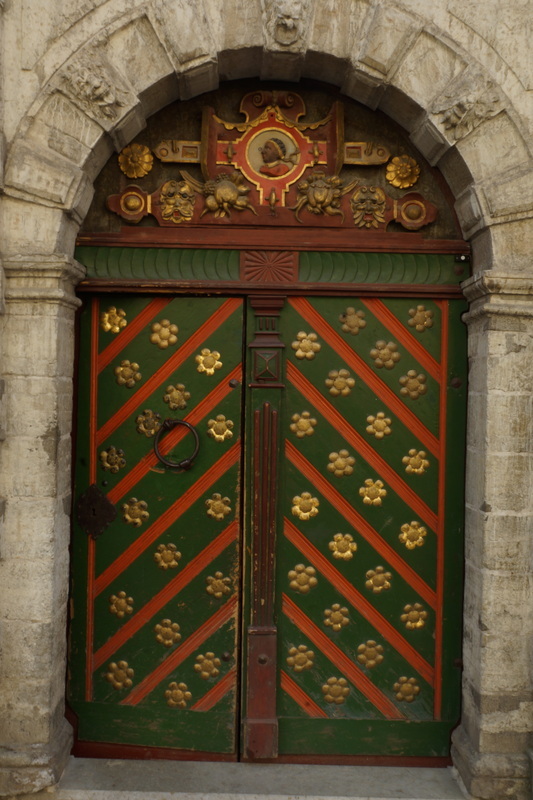 There were a number of guides in this building and they were happy to explain what you were seeing. 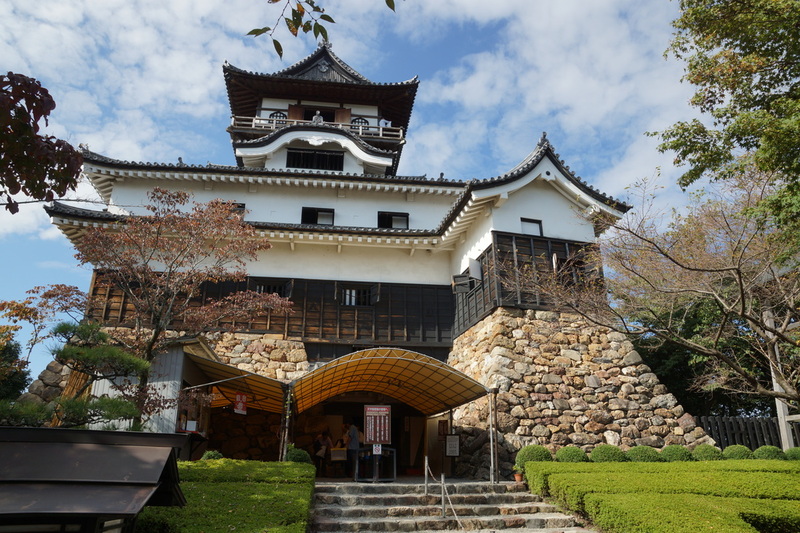 The young man on the lower floor explained how several buildings had been added over the years and what we saw in the "cellar" was once a street.